Familiar names are topping the ranks of quarterbacks and wide receivers, but there are still some gems mixed in. As new receivers emerge from the pack, quarterbacks come with them, for example Teddy Bridgewater. 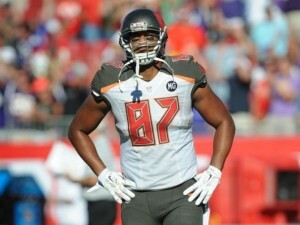 Tight ends are a bit more fluid, but there are still trends worth monitoring. Whatever you need, check out the picks for week 8 and beyond. Bridgewater has a legitimate go-to receiver now in Diggs. Carr still has maybe the best rookie receiver and a great running back making him a great choice. Bortles was a victim of a bad matchup but obviously is great. Watson and Thomas are worth hanging onto long term. Rudolph is touchdown or bust and this week he got a touchdown as I suspected he would. 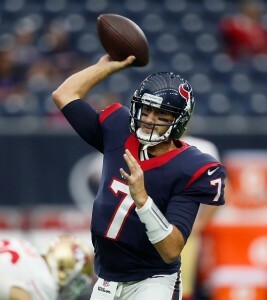 Hoyer is not winning games for Houston, but that does not mean that he cannot help your fantasy team. Don't forget this guy, he could be back on the field in week 8.